Storm Door Handle | The Hampton | Free Shipping! The Hampton in Satin Nickel finish has a long lasting high luster finish backed by a 1 year manufacturer warranty on finish as well as mechanical components. 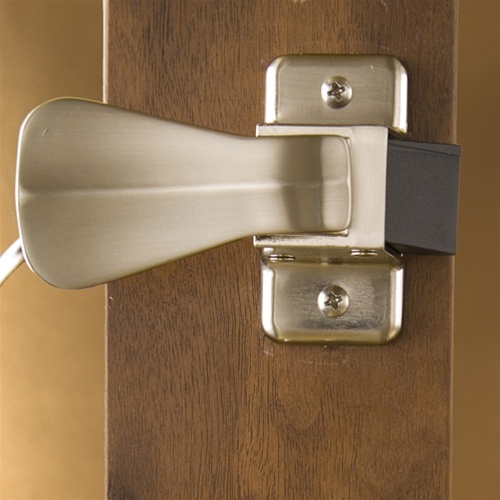 NOTE: Fits most metal and composite storm doors 1-1/8" to 1-3/8" thick. Not recommended for use on polypropylene storm doors (example: Forever Door Crossbuck or Traditional models) due to expansion and contraction that is inherent in polypropylene materials.